We’re delighted to be bringing The Sheepdogs back to the Deaf Institute! Tour support comes from Creatures. 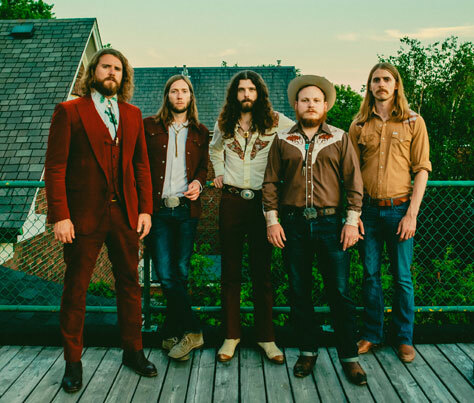 Picture a band on the pastel palette of Wes Anderson with the climactic twang of Quentin Tarantino… a band of 70s drenched cowboys straight out of Westworld, armed with psychedelic yet punchy guitar riffs and all the hair to match. Spaghetti Westerners inspired by modern pop muses, Creatures create a beginning, a middle and an end, sonically sending you on adventure that spans intense landscapes, tear-jerking waltzes, foreboding chaos and lingering cliff hangers. Touring with the likes of Temples, The Parrots and The Murlocs as well as being championed by Independent Music Week and The Great Escape, Creatures released their EP, Runt Of The Glitter, on 22 February.